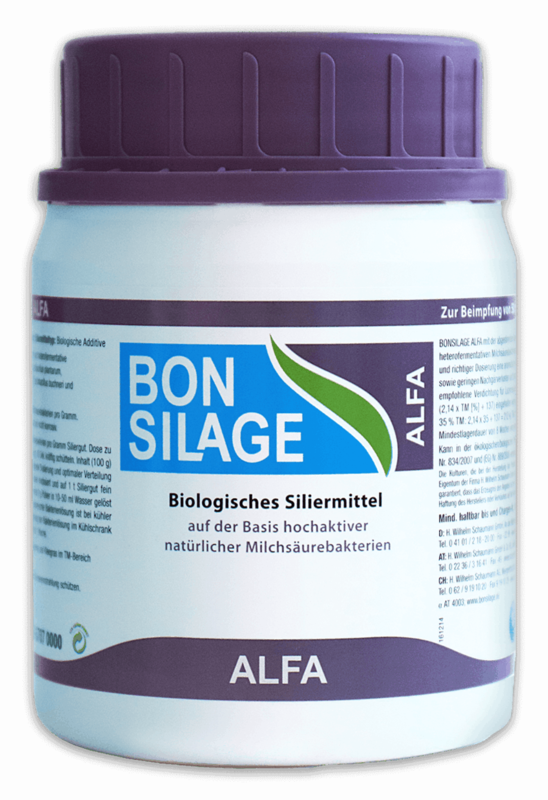 Combination of homofermentative and heterofermentative lactic acid bacteria (LAB) strains for lucerne and clover grass that is difficult to ensile with a dry matter content of 25-45%. The homofermentative LAB L. paracasei and L. plantarum split fructans and thus lower pH values reliably, rapidly and sustainably. The homofermentative LAB Lc. 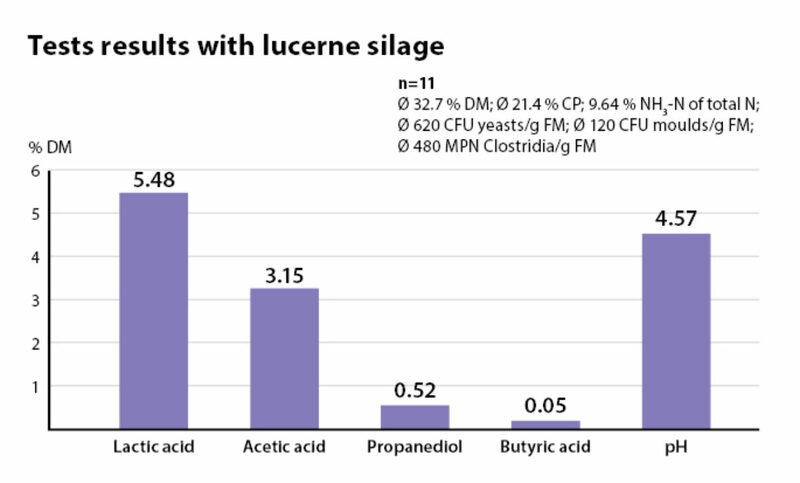 lactis, which is known to inhibit clostridia directly, reduces the risk of butyric acid fermentation. The heterofermentative L. buchneri ensures that moderate quantities of acetic acid and propanediol are released and thus provides better protection against reheating. 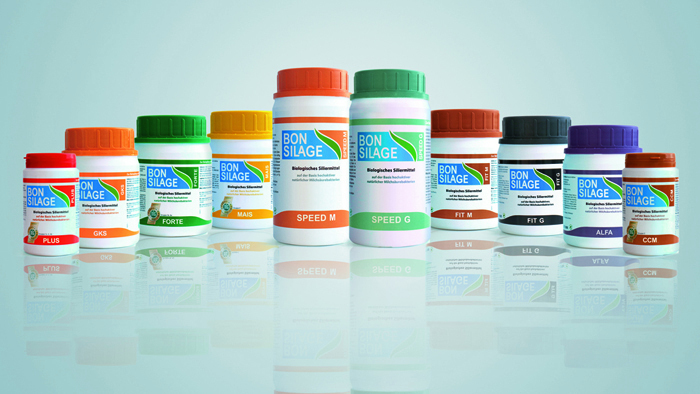 Which BONSILAGE silage additive matches your preferences and requirements best? Use the Product Finder to gain an initial overview.